While doctor prescribed medications may seem relatively safe for use, certain prescriptions must be followed to letter in order to avoid unforeseen consequences. Hydrocodone prescriptions fall in this category. 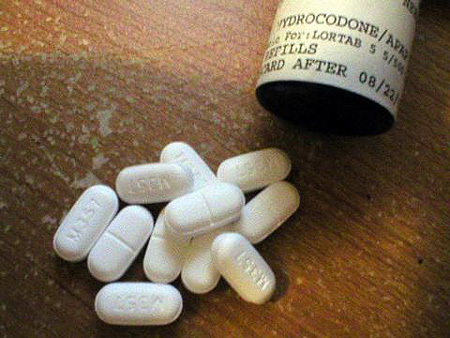 Hydrocodone can cause addiction, even if you are legally prescribed to it. Hydrocodone offers an effective treatment for most any condition involving fairly intense pain symptoms; however, it’s intended use is as a short-term treatment solution. Taking more than prescribed or taking the drug for a longer period than prescribed opens users up to the addictive effects of hydrocodone. Hydrocodone belongs to the class of drugs known as opiates. Commonly known opiates include heroin, Demerol and morphine. Much like heroin, hydrocodone can impair brain functions while training the brain to become increasingly dependent on the drug’s effects. With long-term use, hydrocodone is very addictive, leaving users hopelessly dependent on the drug’s effects. Hydrocodone effects in the brain become the driving force behind the drug’s addictive potential. Like all opiate drugs, hydrocodone’s chemical structure integrates easily with the brain’s own neurotransmitter chemicals. In effect, hydrocodone can regulate pain signal messages throughout the body’s central nervous system in the same way the brain’s neurotransmitters do. The brain also has a self-regulating mechanism that automatically adjusts neurotransmitter chemical secretion amounts based on the brain’s existing chemical levels at any given time. With continued hydrocodone use, this mechanism all but shuts down normal chemical secretion processes and lets hydrocodone’s effects take over. According to the U. S. National Library of Medicine, with each successive dose of hydrocodone, brain cells become less sensitive to the drug’s effects. This means, a person will need to take increasingly larger doses in order to experience the same desired effects. In the process, the brain’s tolerance level for the drug increases every time the drug is taken. As the brain comes to rely on hydrocodone to trigger neurotransmitter secretions, any reduction in dosage amount leaves brain chemical processes in a depleted state. In turn, the lack of needed chemical secretions disrupts the functions normally regulated by these chemicals, such as emotional balance, thought processing and pain/pleasure responses. In effect, users have to keep taking the drug in order for normal chemical processes to operate. With long-term hydrocodone use, the brain’s tolerance levels can reach a point where the drug’s effects can no longer support and/or regulate normal brain chemical processes. When this happens, users enter the opiate withdrawal syndrome stage. Ultimately, hydrocodone’s ability to take over brain functions places most anyone who abuses the drug at risk becoming addicted.